From the first glitching funk of Alive In Screen by netlabel DESKPOP associate Nelward, the rattling fuzzed-out chiptune, is an indication of what's to come. It's theatrical, it's marinated in videogame sensibilities and grilled over coals of groove, summoned by textured bristling beats and found-sound lusciousness. What hits you next in opener 'brain dance' is the melodic motif in its intro: big guitars play this sweeping chromatic introductory statement, grandeur and compartmentalised mystique, as we go swaying into the track's thick synth chords, velcro beats, and more importantly somewhat the space between these sounds that itself is a motif in this otherwise brightly maximalist collection of tracks. That same melodic motif appears later in the track, wordlessly, floatily, by featured singer Paige Williams. It also pops up as the soapy squeaky clean synth hook in EP single 'apple shampoo', slightly altered, more uptempo, but noticeably there. Later we find it at work in final track 'toy world', a Mario Galaxy-themed environment with a collage of percussion—drip-droplets, insectoid hi-hats, clattering wood, water streaming, marimba. Here the motif is minimally orchestral at the beginning, and in the slow-jam lounge of the second half it appears throughout, the lobby of a space hotel, glorious muzak. This instrumental ends things on a calm note, wrapping up the motif with a neat bow in a drifting, unhurried manner that gives the impression of infinitely floating. To a lesser extent we see this utilisation of this motif in 'seafoam breeze', where the Prince-meets-playground-rhyhmes of Nelward's vocal sings "easy as 1-2-3", that same melody echoing throughout. Similarly 'the wild firmament' seems to follow that similar pattern of notes, though on a scale that it would only be recognisable to your conscious mind sped-up. This track is a heavenly interlude that sweeps in million mile waves of gentle soft synth, augmented with carefree idling whistles and occasional trills of bopping synth. 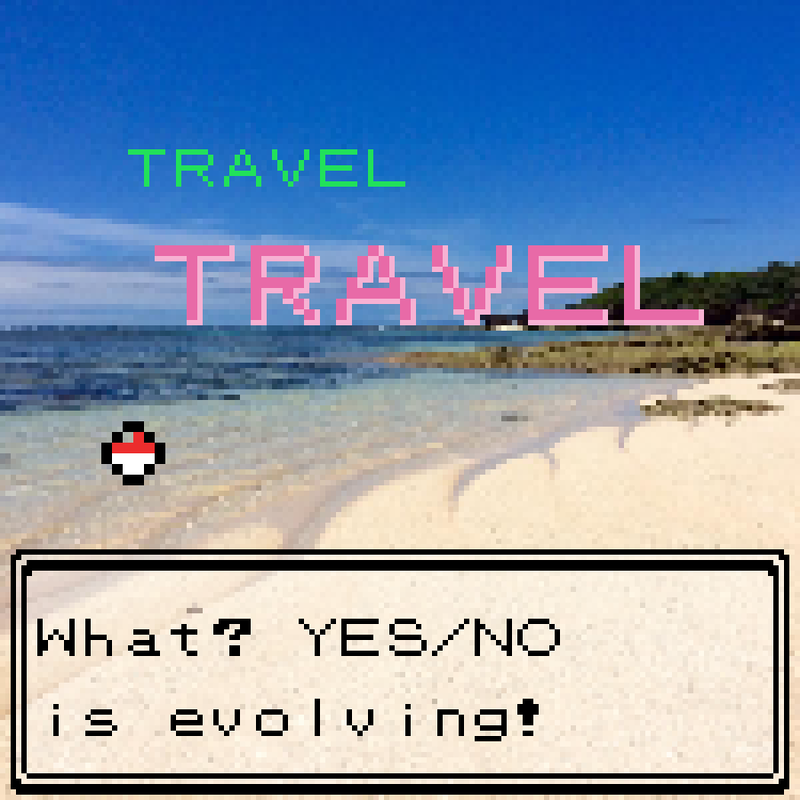 Tropical, like an afternoon nap on a beach; waking up sunburnt. 'seafoam breeze', in more than just its title, has this upbeat sunny nature that summons tropicalia more than other tracks; and with its glistening lances of synth and warm vocal hook in the chorus, 'apple shampoo' ("…the only kind I've ever used") is similar, though it feels more bathroom based: like a carefree, idealised showertime, it summons suds on shining white tiles, a steaming showerhead, ending in a flurry of lather as the beat double-times and we end up in a neat outro of bubbling percussion. We did mention Prince. Aside from this tropical-ness, there is groove infused in much of Alive In Screen, but more than this there is a combo of guitar shredding and flamboyant, often sensual vocals, the combination of which really does summon the late great pop maestro himself. 'the minus world', named for the Mario Bros. glitch, begins sounding similar to the creeping urgency of the Mysterious Forest theme from Zelda: Link's Awakening, but goes on with Prince-esque vocals ("Thought I was done before I even began!") a similarity heightened by panting in/exhalations, mingling with its 8-bit neo-noir heist atmosphere, complete with metal guitar bridge and noodling. Again, in melody and emphasis – "You're a strawman, alright / sticks and stones won't break your bones / cause you're a strawman! Alright / la, la-la, la-la…" – the hook in 'strawman' excels in its reminiscence; in fact the whole song, its deep wobbly bass carving a sunken nocturnal groove, gloopy and sludgy with its swing rhythm, the luxury noir with crystalline chimes and atonal chords that effuse pure mystery, it's similar, it's Prince in a SNES cartridge. Taking compositional cues from both the complexity of classically inspired videogame music and the relative simplicity of pop grooves and hooks, Nelward has incorporated two disparate worlds into one cohesive collection, crunchy textured beats punctuating all the way. Lyrically, it's fun—he speaks of "oatmeal for dinner" in 'Brain Dance', is concerned about his "eggs and toast" in 'apple shampoo' (let alone that song's chorus), and begins 'the minus world' with a line about being in the zone where buffalos roam, amongst other delightful lines, aligning with carefree throughout. There is a clear influence from videogames, owing to chiptune sensibilities – most noticeably in the bitcrushed beat of 'the minus world' – and the general feel, such as the vibe of 'the wild firmament' (see Cosmic Cove Galaxy theme from Super Mario Galaxy 2), the cinematic intro to 'Brain Dance', scene-setting flavours throughout; even the name, Alive In Screen, suggests this. More than that, the title summarises: in its entirety, Nelward's EP is the interests of a person with their mind rooted in imagination (…In Screen), but which does not stop at introspection and branches into reality (Alive…) with guitars 'n' groove and the vocals of a real-life person aplenty, these two sides joined not only with comprehensive composition and construction, but with that persistent motif bookended by the first and last track. It threads through for seamless relation between each track, and in its repetition and refraining it creates a sense of instant classic, something to be remembered, the grail of pop. 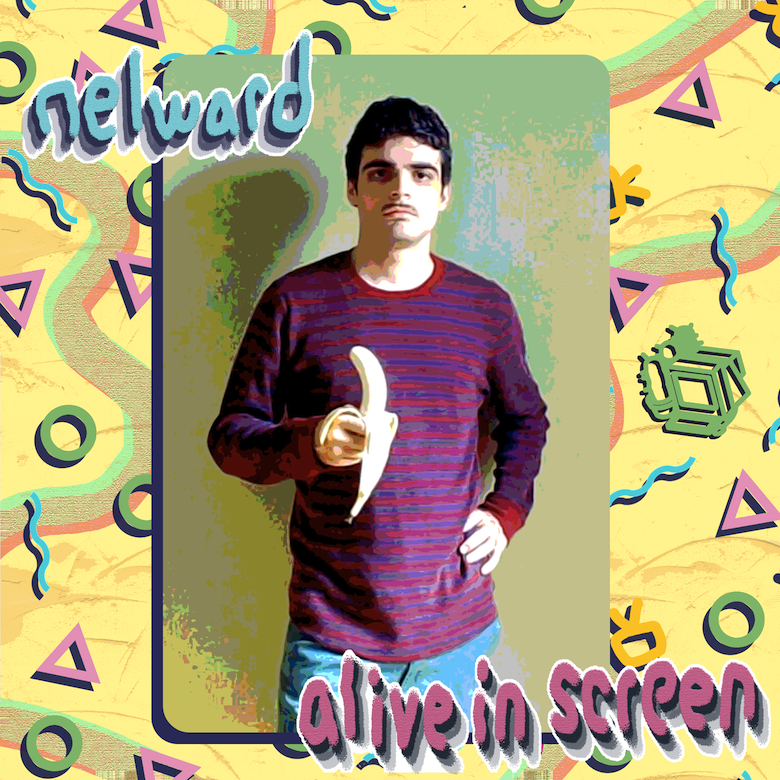 🔔 Nelward's Alive In Screen EP is released tomorrow, 22nd November, courtesy of DESKPOP. You can pre-order, and order tomorrow and thenceforth, from Bandcamp for a paltry $4—or more if you choose using this hyperlink. 🔔 Accompanying Alive In Screen is the created by artist brainfoam. The bubbly lo-fi saturation and pastel flavours of the artwork match with the carefree and imaginative feeling in the EP—not to mention the Saved By The Bell abstract shapes highlighting the friendly, accessible nature of the music. Features a pre-banana Nelward, which makes sense given the mention of food in some of the lyrics; dressed normally, only as somebody who can write a song about the type of shampoo they use in the shower should be.